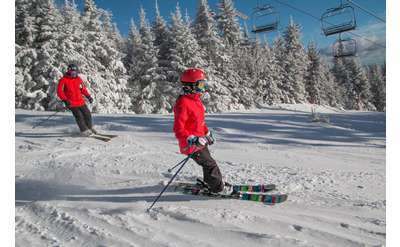 Adirondack Skiing In New York: Find Gore Mountain, Whiteface, Oak Mountain & Other New York Ski Resorts On Adirondack.net! 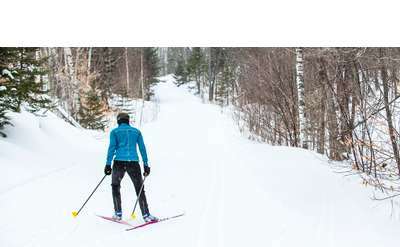 Take advantage of the many cross-country and downhill skiing opportunities available in the Adirondack Mountains! Find listings of many New York ski resorts on Adirondack.net including Gore Mountain, Oak Mountain, Whiteface Mountain among many more ski centers! 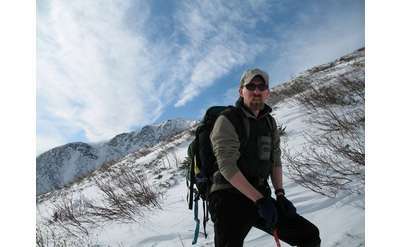 Also take advantage of the snowshoeing in the area! If you love skiing, snowboarding, or snowshoeing but don't own any equipment, then visit Beaver Brook Outfitters in the Southern Adirondacks this winter. Their rental shop offers gear to keep you warm and single-day, multi-day, and seasonal rentals. McCauley Mt. is BIG skiing in a small package. Challenge enough to spawn two Olympic skiers, yet friendly enough to be "New York's Best Family Mountain." Featuring easier trails from the summit, as well as steep bumps to feed skiers and snowboarders. Lapland Lake in the southern Adirondacks has been offering a unique winter experience to individuals, couples, and families for over 35 years with cross-country skiing, snowshoeing, lessons, equipment sales and rentals, and more. Nationally known for our terrain, snowfall and facilities, Garnet Hill Lodge is a one of an elite group of cross country ski resorts ! However, we are also a four season resort with unique lodging and fantastic dining. Willard Mountain offers all the fun and excitement of alpine skiing, snowboarding, and snow tubing, all just a short drive from Saratoga Springs, Albany, or Glens Falls. Fun for all ages and skill levels, this is New York's coolest little ski area. Mt. 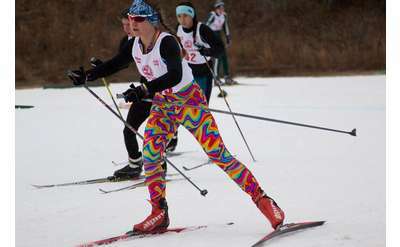 Pisgah Recreation Center in Saranac Lake features multiple downhill skiing and snowboarding trails for beginners, snowshoeing trails, a tubing hill and tow rope, and a base lodge. Oak Mountain Ski Center is a resort in the Southern Adirondacks, which makes it an easy drive from Albany, Utica, or Lake George. 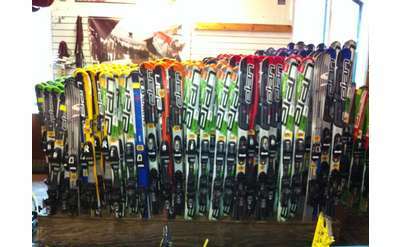 There is something to suit everyone's needs at an affordable rate, such as skiing, snow tubing, snowshoeing, and more. 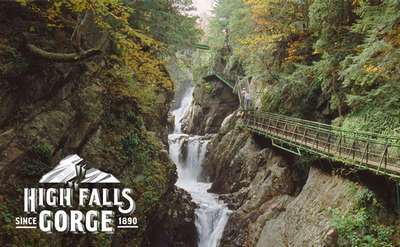 Whiteface Mountain in Wilmington is the Lake Placid Region's premier site for downhill skiing and snowboarding. Whiteface has the greatest vertical of any lift-serviced mountain in the Northeast, and it offers multiple groomed trails. Visit the Schroon Lake Ski Center at the Schroon Lake Golf Course in winter for downhill skiing and snow tubing.